Spot It! St. Louis Cardinals Edition puts a baseball spin on the family favorite. Just like the other Spot It! 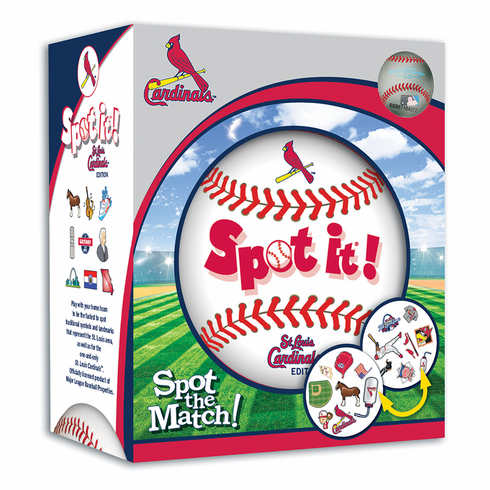 games, this MLB Cardinals Edition comes with a variety of unique symbols for you to identify and match from card to card. Many of the symbols represent the Cardinals and the game of baseball. Play it once or play all night, with 55 unique cards and five different mini-games, you�ll catch yourself going into extra innings with Spot It! MLB Cardinals Edition.